Chic metal ornament on green suede. 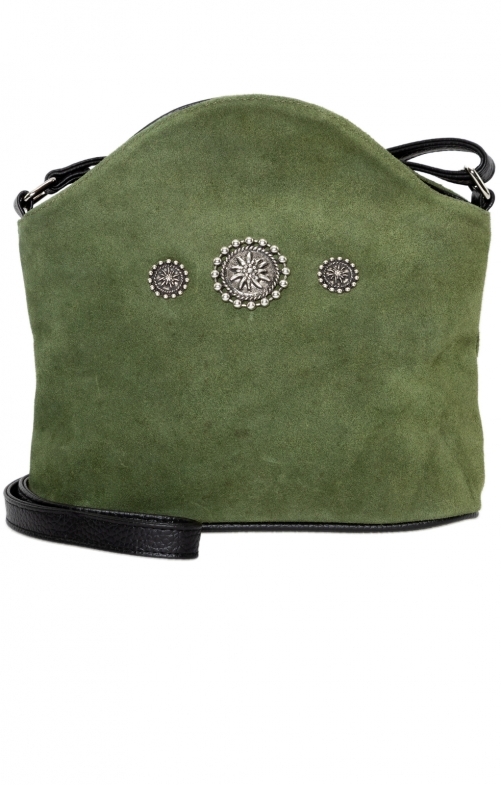 The dirndl bag EDELWEISS in olive impresses with its curved shape and the decorative elements, which represent a total of three edelweiss blossoms and are framed with sparkling rhinestones. The stylish model has an adjustable black shoulder strap and is closed with a push button. Inside the bag there is a zipped compartment.